Community renewable energy - community owned solar PV on local schools and community buildings, and community managed woodland. Climate change adaptation - working with local farmers, fishers, and communities to understand and adapt to change. Eco schools - getting sustainability embedded in the curriculum. 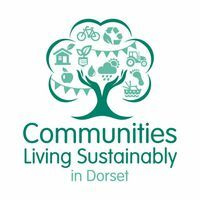 Greener choices - encouraging householders and businesses to adopt sustainable lifestyles - saving energy and water, wasting less, traveling well, and eating local sustaianable food.